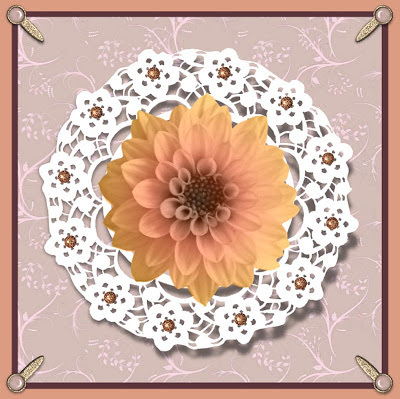 Last week's CD Sunday Challenge was...Hello Doily....I'm a bit behind!! The background paper is from Ooh La La's Watercolour Memories. the doily was one of CAP2's punches. The dahlia is from my Floral Sketchbook Digikit and the brads from Pam Lefors.